The Toronto tech scene is experiencing a surge of activity. Having just been named the global Intelligent Community of the Year by the Intelligent Community Forum, it is not surprising that Toronto is seeing growth in some of the hottest innovation sectors, like digital health. Entrepreneurs and innovators are quick to recognize the benefits that emergent technologies (sensors, mobile, social, big data etc.) can bring to healthcare. The convergence of (1) lucrative opportunity, (2) complex challenges with meaningful impact, (3) availability of talent, and (4) potential for disruption has brought great momentum to the Toronto ecosystem. A strong entrepreneurial community that can share knowledge, create thought leadership and unearth resources can help innovators get plugged in and fuel the growth. Vibrant communities often have grassroots origins, emerging out of shared needs and building a collaborative space for dialogue, resources, learning and action. This creates an environment of trust and authenticity, where mature founders who have gone through the gauntlet of building a startup can offer the benefit of their experience, while younger entrepreneurs can contribute fresh ideas and add energy. 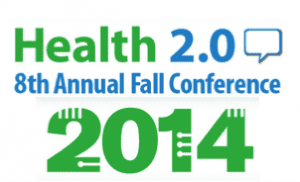 For digital health innovators, Health 2.0 Toronto is exactly that place. Here are the highlights. 1. It’s local, but with global reach. Health 2.0 Toronto is not a fly-by-night meetup. It’s a local chapter of the global Health 2.0 organization, a worldwide movement of innovators who want to revolutionize the healthcare industry and improve health outcomes through the use of technology. With local chapters in 70 major cities around the world, Health 2.0 has serious reach, which comes with tangible benefits for members. A local chapter ensures the convergence of the great assets we have in Toronto: the incredible talent base of technology entrepreneurs and developers, a vibrant health education and hospital network, and a growing venture investment community interested in sponsoring local talent. Toronto is poised to become a hotbed for growing health IT companies that can compete on a global scale. 2. It offers tangible benefits for your business. 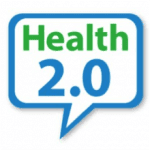 Members of Health 2.0 Toronto are eligible for discounts on various Health 2.0 events around the world and are offered a warm “in” with other global chapters. The organization has awarded $6.6 million in prize money, and members can participate in various prize challenges. Additionally, selected companies will have an opportunity to present on stage at the biggest Health 2.0 event in the world—the annual fall conference. 3. It creates networks and partnerships. Health 2.0 Toronto is building local relationships that will be helpful to health innovators, including a partnership with MaRS. MaRS recently launched a Digital Health cluster out of the ICT group to support mobile, web and big data health startups. 4. It enables founder-to-founder sharing. 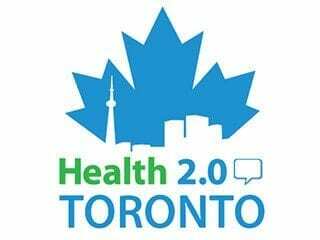 In Toronto, the Health 2.0 chapter was co-founded by local technology entrepreneurs Nikolai Bratkovski, founder and CEO of OpenCare, and Jonathan Graff, CEO of Enthrive, who share a desire to build a Toronto-based community of successful health-focused entrepreneurs. 5. It’s inclusive, but curated. A dynamic community strikes a balance between high-volume participation and high-quality content. With the intention of bringing like-minded people together, Health 2.0 Toronto is welcoming new members who are entrepreneurs, medical professionals, developers and policy-makers, as well as anyone interested in using technology to make the healthcare industry more accessible, efficient and cost effective. When it comes to programming, Health 2.0 Toronto features the most relevant topics, the most current founders and the best emerging technologies relevant to health. Interested in joining? Register now! If you’re interested in joining the conversation, learning and networking with awesome founders, check out their Meetup page.